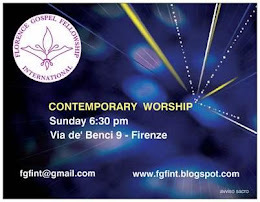 Florence Gospel Fellowship International provides the international students in Florence, Italy - and the English speaking community in town - with motivational and relational support, through services such as counseling, coaching, orientation, weekly home groups, cultural exchange with Italian students, and a Sunday contemporary worship - celebration service. Florence Gospel Fellowship International offre agli studenti internazionali in Firenze - e alla comunità di lingua inglese in città - supporto motivazionale e relazionale, attraverso servizi quali: counseling, coaching, orientamento, gruppi settimanali in casa, scambi culturali con studenti italiani, e una riunione di celebrazione, con musica, espressioni artistiche e condivisione di esperienze. If you happen to pass there at 6:30 pm on a Sunday, you can hear music coming out of the door at Via de' Benci 9, in Florence. What is this, a party? A community center? Some cultural group? 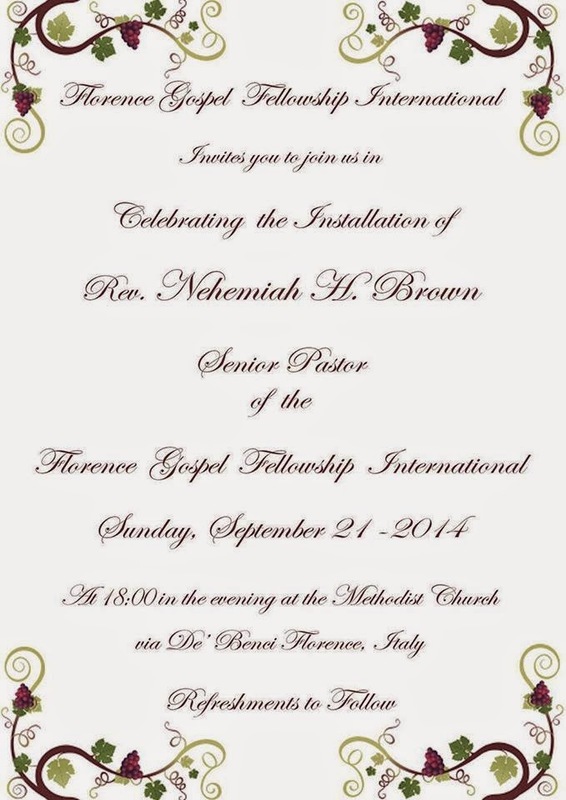 You see them enter, all these international students of the universities and colleges of Florence. 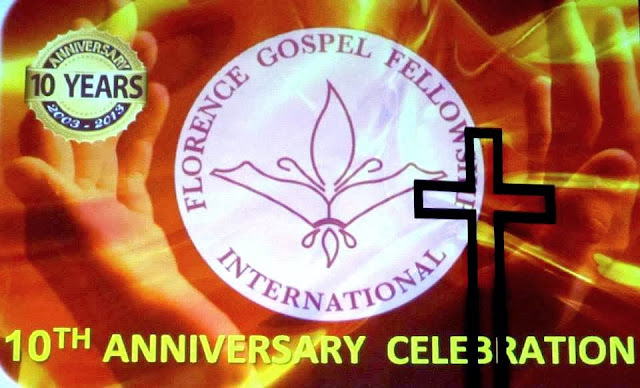 On the door you see written, “Florence Gospel Fellowship International.” Your curiosity piqued, you poke your head through the doorway just to take a look and find young men and women singing in English, some standing with their arms outstretched, others sitting with eyes closed, while still others have clasped hands together. You step inside and feel the welcoming atmosphere wrapping around you like a warm blanket, finding yourself trying to follow along and even join in with the heart-warming contemporary gospel music. Then you hear that they are telling their “life stories,” sharing what God has done in their lives recently that truly changed them. It’s true. These are those same international students you see walking to school every other day of the week. They travel thousands of kilometers to study abroad for six months in our city, wanting to learn about our rich culture, history and traditions. But, through their own lives, they encourage us to rediscover the roots of our Christian faith - the faith that has inspired so many artistic masterpieces which have made not just our city but our entire nation famous around the world. Florence Gospel Fellowship International ©. Theme images by merrymoonmary. Powered by Blogger.